Tata has always been looking to help the people of India in every respect. To fulfil the demand of people with weak financial conditions, Tata Motors launched a very small segment car, Tata Nano. The purpose of introducing this model in the Indian market was to ensure that everyone can afford a car whether it’s a big or a small one. It was a successful effort made by the Tata group. Small sized car with small engine capacity, small circumference of wheels have helped to reduce the cost of making. Tata Nano provides great mileage with very low maintenance. The company has tried to reduce the cost of making in every possible way including battery capacity. Tata Nano Petrol Car requires a battery of capacity 25 Ah and can be bought from everyonechoice.com. 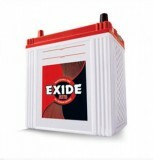 Our sites offers batteries of different companies recommended for Tata Nano such as Exide FEF1 25 Ah, Tata Green 25R Nano along with 12 months and 18 months warranty respectively. We offer free home delivery to all the customers who buy batteries from our site as well as free installation. All this things are done within 24 hours of booking. 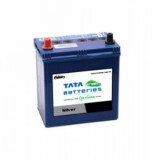 So, buy Tata Nano Petrol Car Battery Online from us.